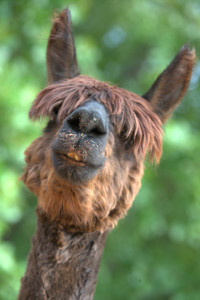 DEMETRIUS (aka Demi) came to us via Southeast Llama Rescue where he was being fostered and looking for a loving lifetime home. We were only too happy to welcome this quirky, delightful guy into our fold. He'd love to know the joys of having sponsor(s).